Happy Easter!. 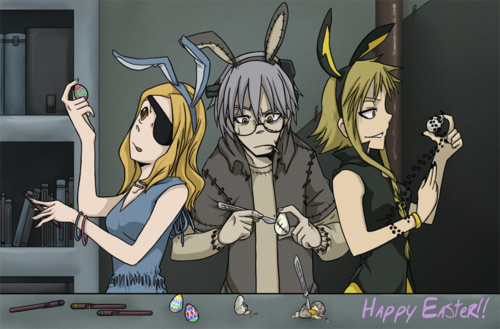 Hope all Ты Soul Eater Фаны have a nice Easter!. 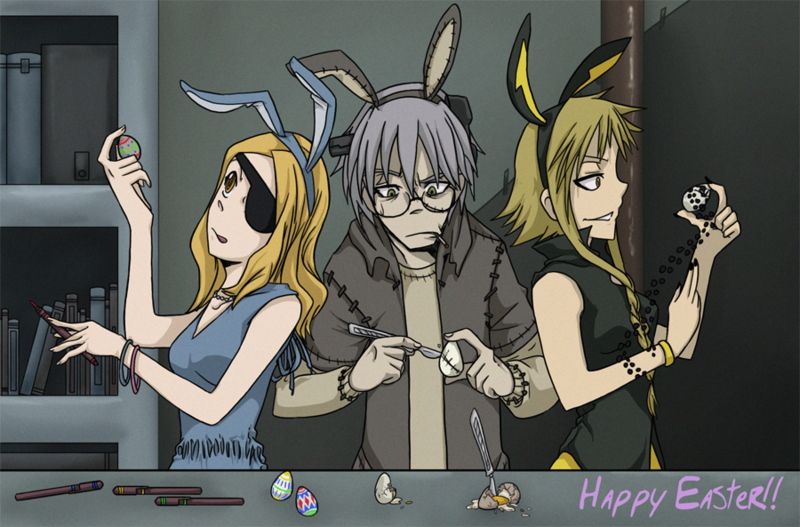 HD Wallpaper and background images in the Soul Eater (Пожиратель душ) club tagged: soul eater characters holiday easter fanart. This Soul Eater (Пожиратель душ) fan art contains аниме, комиксы, манга, анимационные фильмы, комикс, мультфильм, and книга комиксов.